Interested in other Marlboro / Morganville condos? Enjoy luxurious living in Bellemont Marlboro or Bellemont Morganville. This is a community of townhouses and detached homes in Marlboro, NJ. And it’s located in one of Monmouth County’s most prestigious towns. 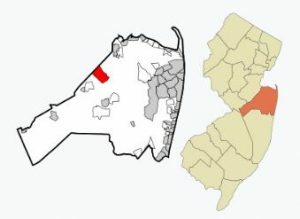 Morganville is a section of Marlboro. The homes in Bellemont Morganville come with either three or four bedrooms. The homes have two or three levels, 9′ ceilings or cathedral ceilings. The models are the Arlington, Alexandria, Brunswick, Belford & Carnegie. The Bedford and the Arlington are 3 level homes, while the others have 2 levels. In total, there are 170 homes in Bellemont, which were built between 1999 and 2001. In addition, your pets are welcome in Bellemont. Located off of Texas Rd., Bellemont is close to all major roadways. In addition, it’s less than 1/2 hour from Staten Island, great malls and shopping centers. Additionally, local casual and fine dining complete the alluring package. Bus transportation, both on local routes and commuter buses to New York are nearby. Commuters can also ride the New Jersey Transit North Jersey Coast Line from the train station in Matawan. Grade school aged children from Bellemont will attend the Robertsville Elementary School and the Marlboro Middle School. These are part of the Marlboro School District. When students enter high school students they will attend the Freehold Regional High School District. In addition, high school students may also elect to attend one of the magnet schools in the Freehold Regional High School District. When a student enters high school they may also apply to the Monmouth County Vocational School District. Specialized courses are available in fields such as computer science and biotechnology. Also courses in the medical and science fields are available, among others. The monthly maintenance fee includes common area maintenance and exterior maintenance (townhouses only). Furthermore, garbage and snow removal, tennis courts and pool. In addition, Bellemont Marlboro is a pet friendly community.